Created to instill a strong math foundation, LIFEPAC 1st Grade Math is full of fun learning activities! With a focus on the basics of elementary math, ten colorful worktexts in this Alpha Omega curriculum provide instruction and practice in concepts such as number order, number words to 200, place value, addition, subtraction, time, and fractions. Let's face it—math is not an easy subject to teach! And choosing just the right math curriculum for your child can be even harder! At Alpha Omega Publications, we'll start you on your way toward a successful homeschool math experience. Teach math basics with LIFEPAC 1st Grade Math and watch your math worries melt away! LIFEPAC Math courses use mastery-based learning along with spiraling review to encourage student success. In this homeschooling math program, students focus on mastery of a single skill, and then move on to learn new skills. This approach builds a strong foundation in basic math skills which paves the way for ever-increasing levels of proficiency. LIFEPAC 1st Grade Math focuses on the introduction of math basics in ten colorful worktexts. What will your student learn? Topics in this Alpha Omega curriculum focus on skills such as number order, skip counting, measurements, shapes, place value, number words, number sentences, fractions, time, money, using a number line, adding, and subtracting. As your child progresses through this engaging course, a wide variety of activities solidify these principles and skills in your child's mind, creating a foundation for understanding future concepts. Our must-have teacher's guide provides step-by-step teaching instructions for every page of the program, a complete answer key, and lots of ideas for additional activities designed to reinforce important math concepts. Get the math program that you both can love! 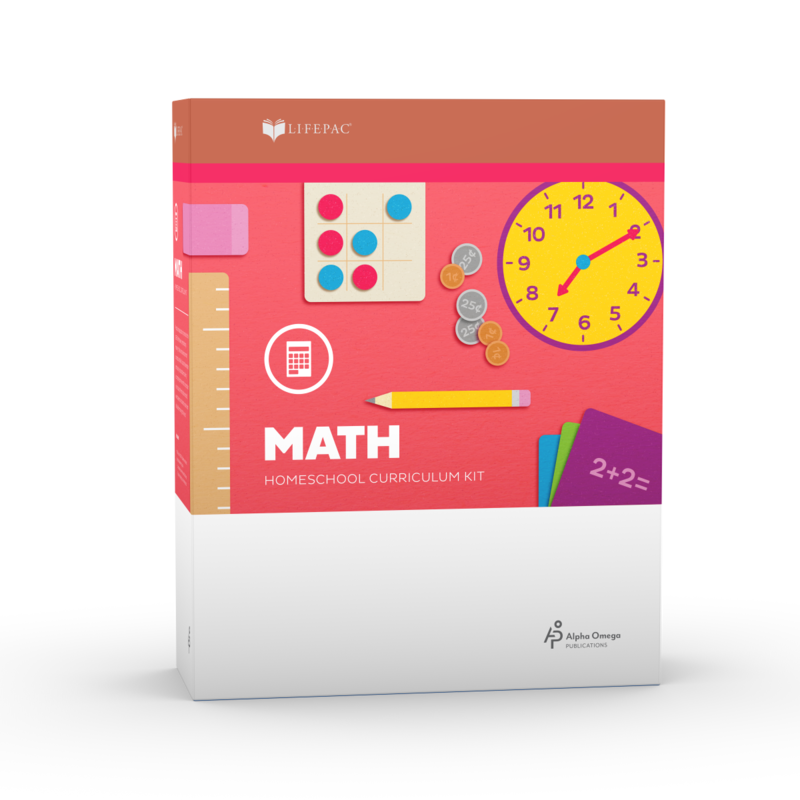 Order LIFEPAC 1st Grade Math today!